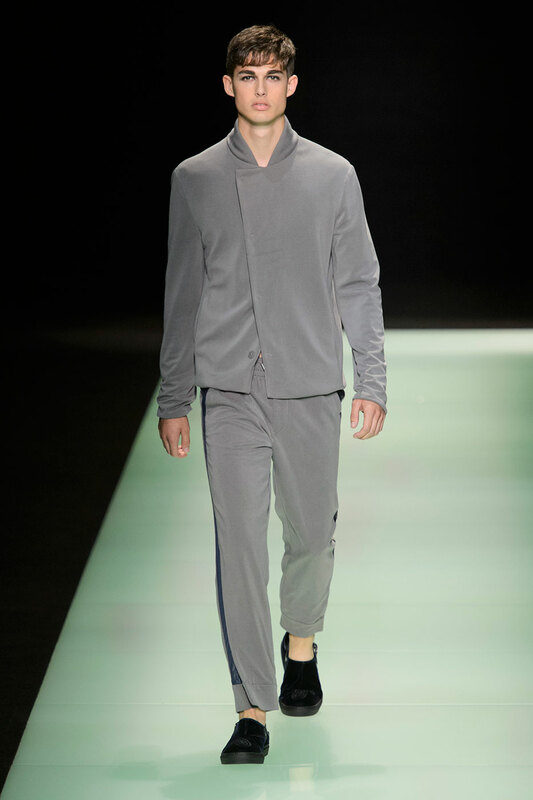 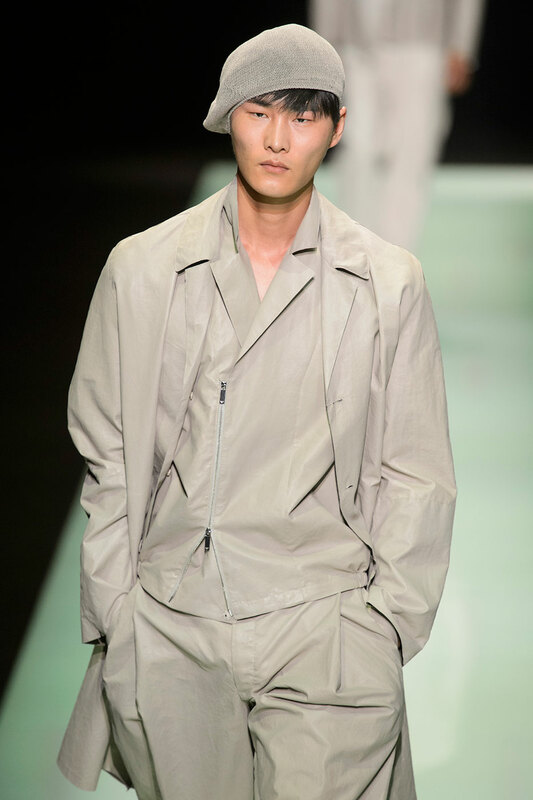 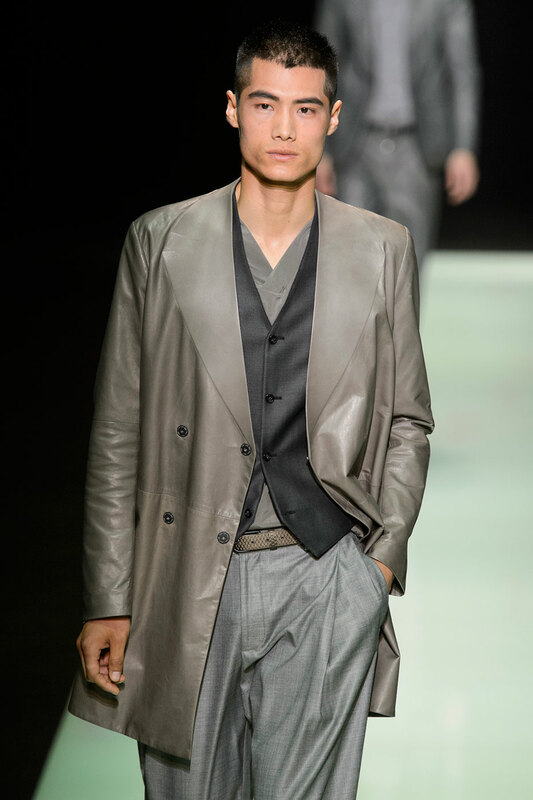 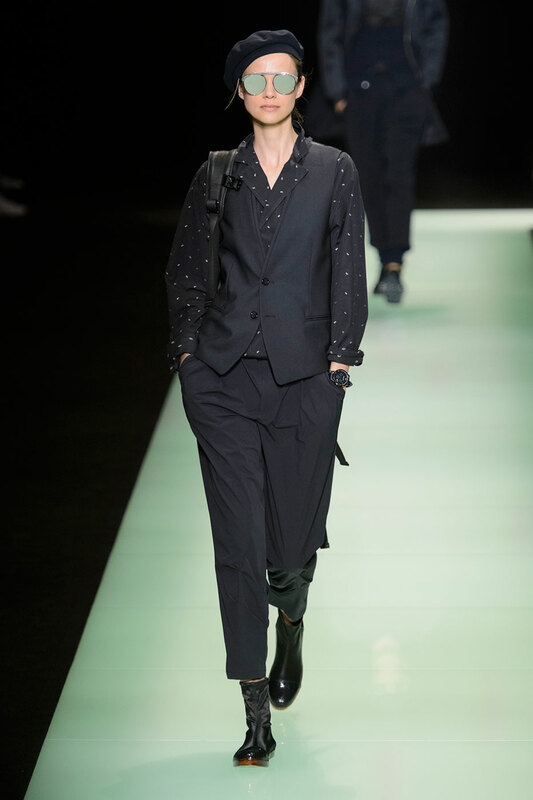 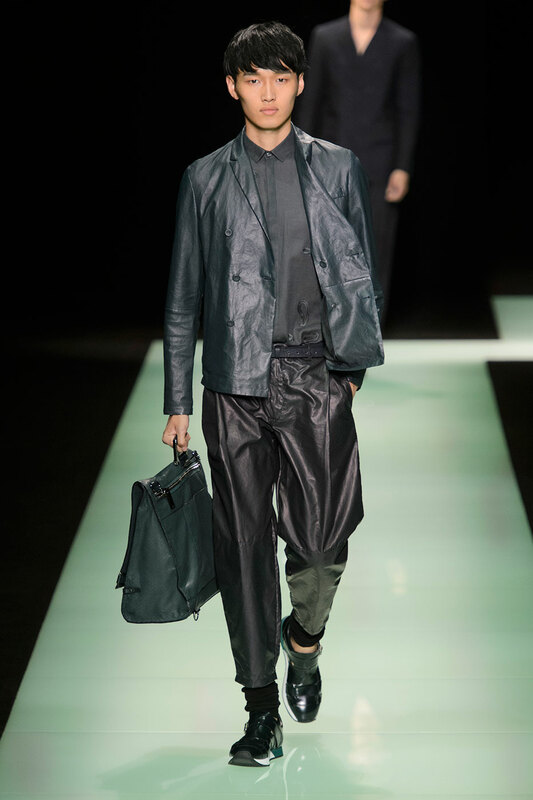 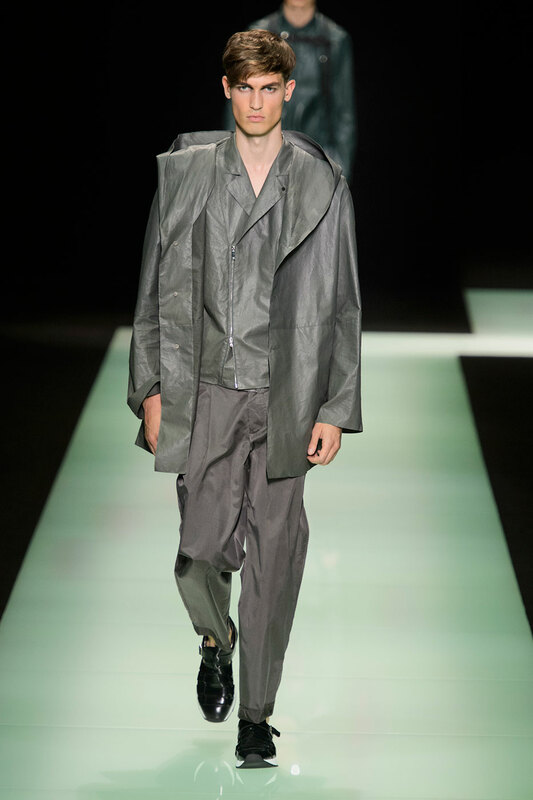 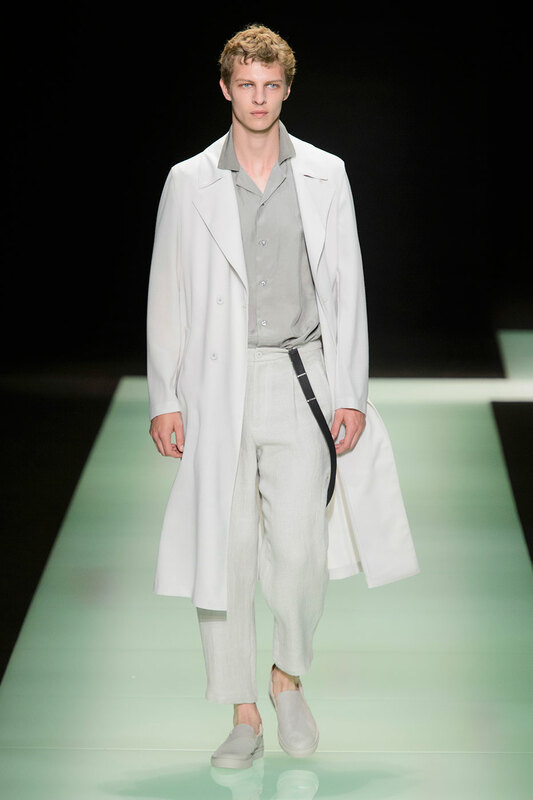 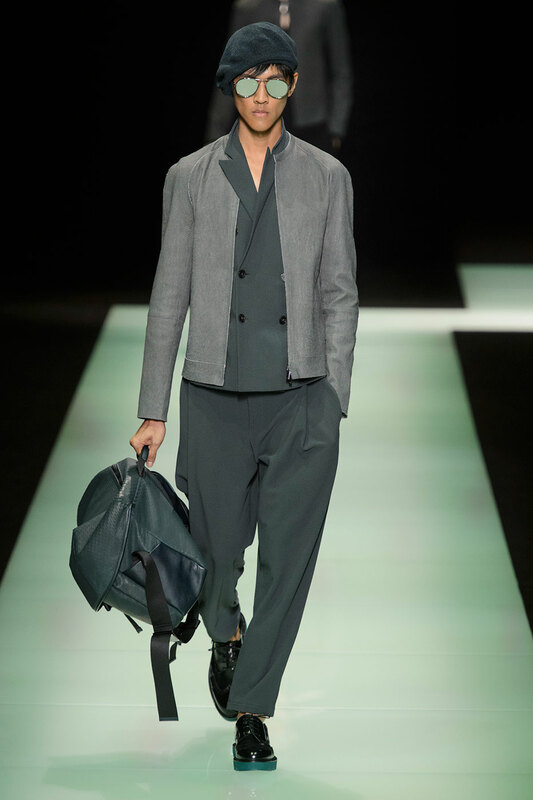 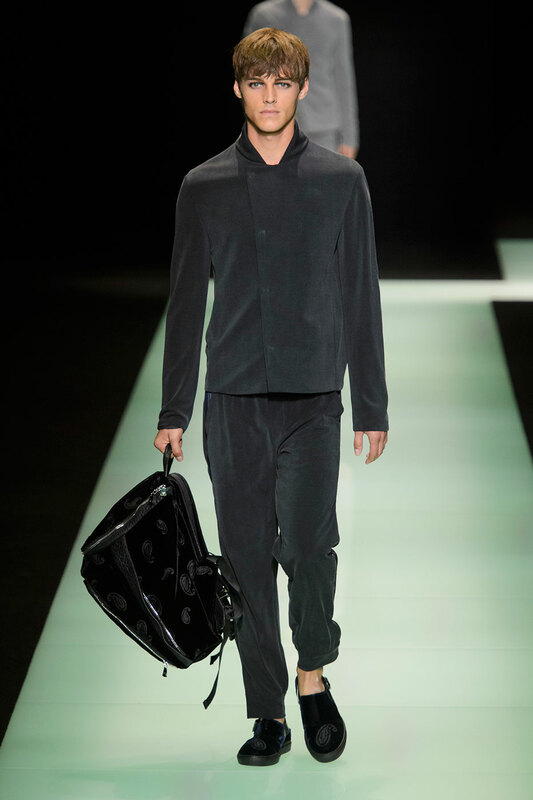 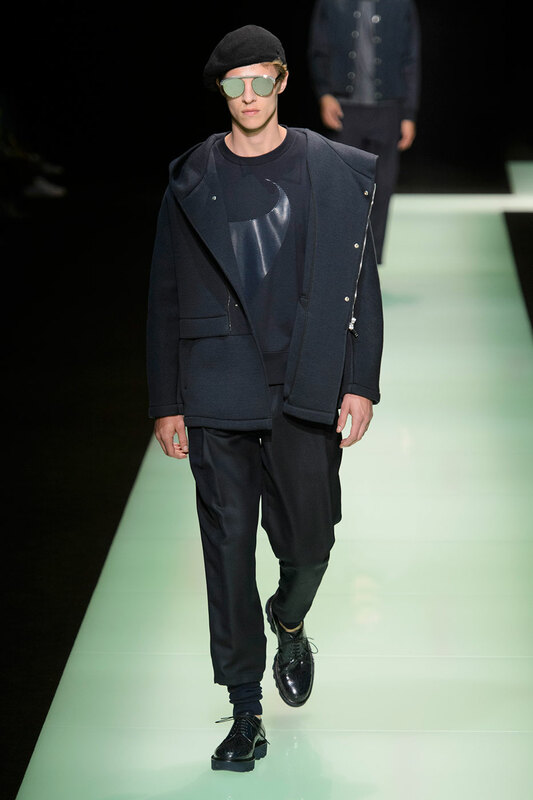 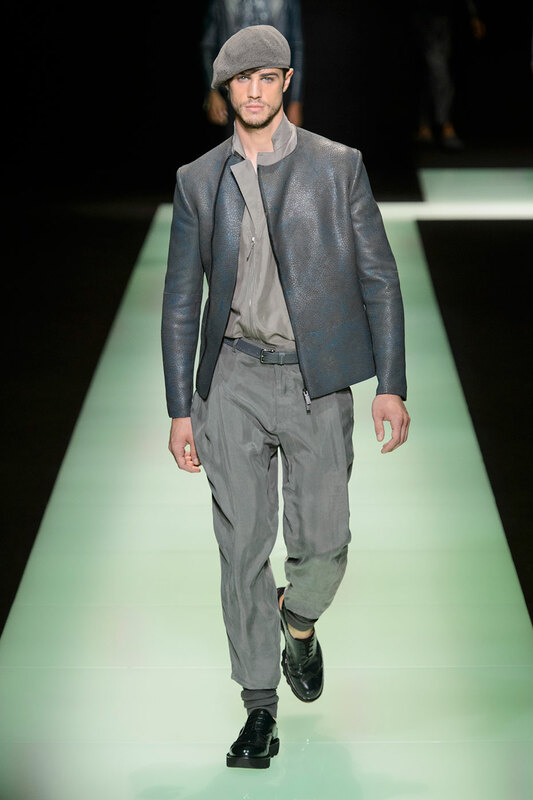 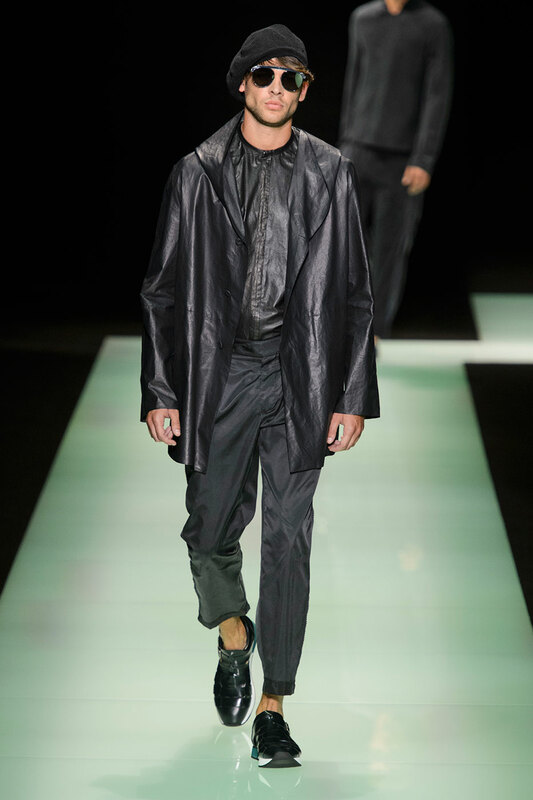 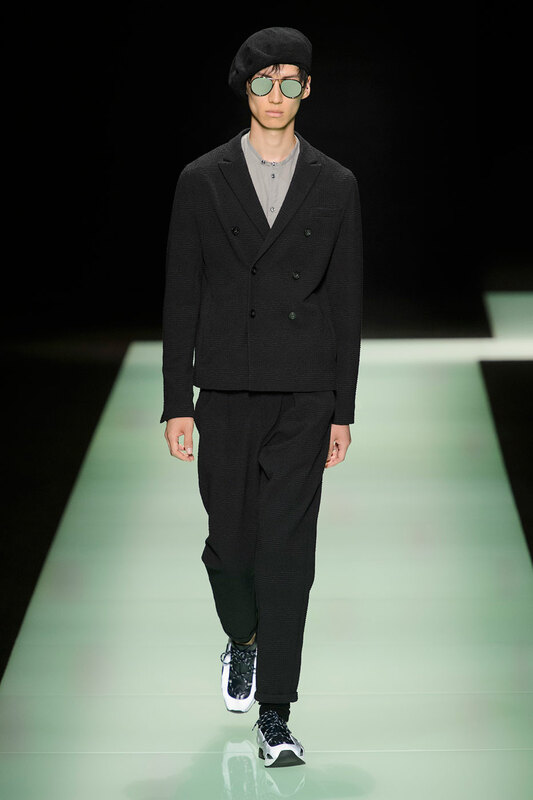 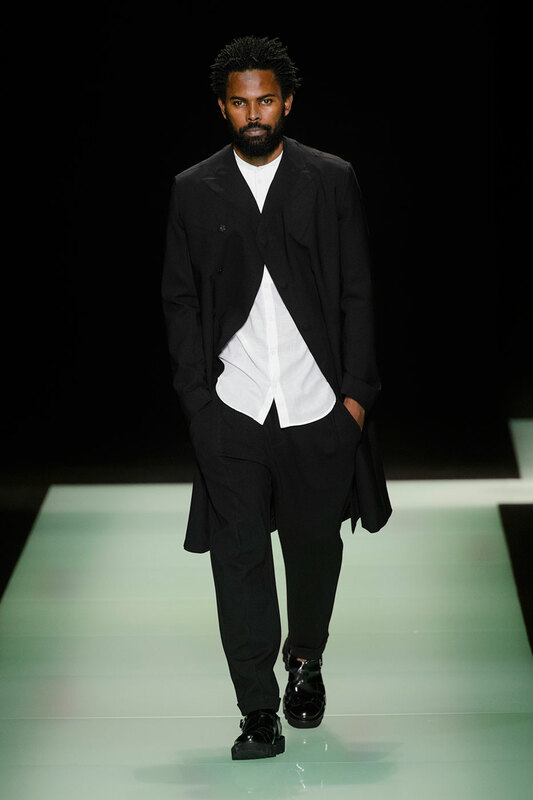 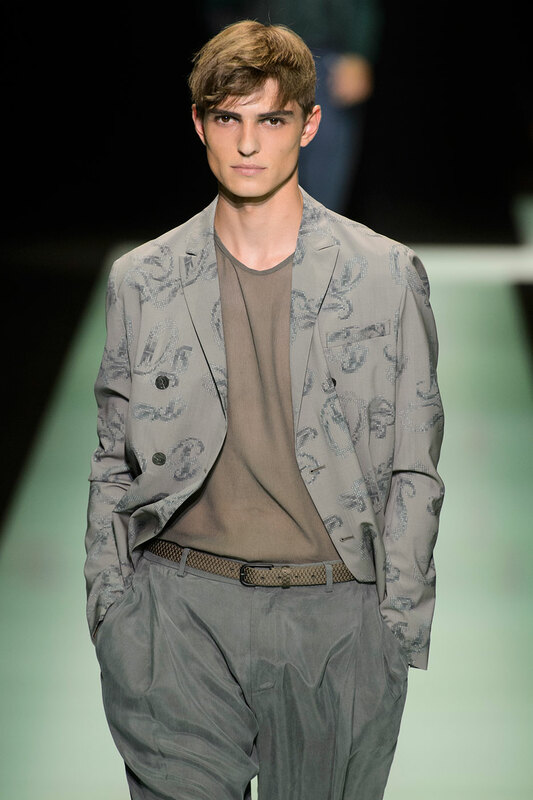 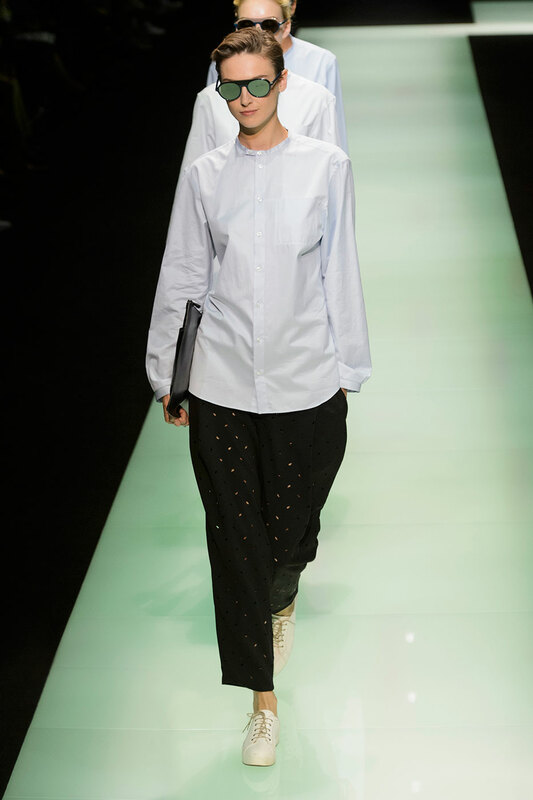 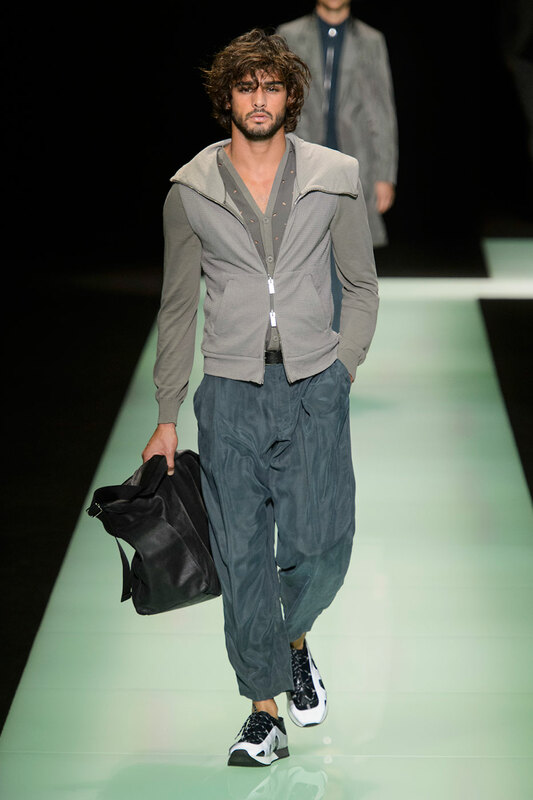 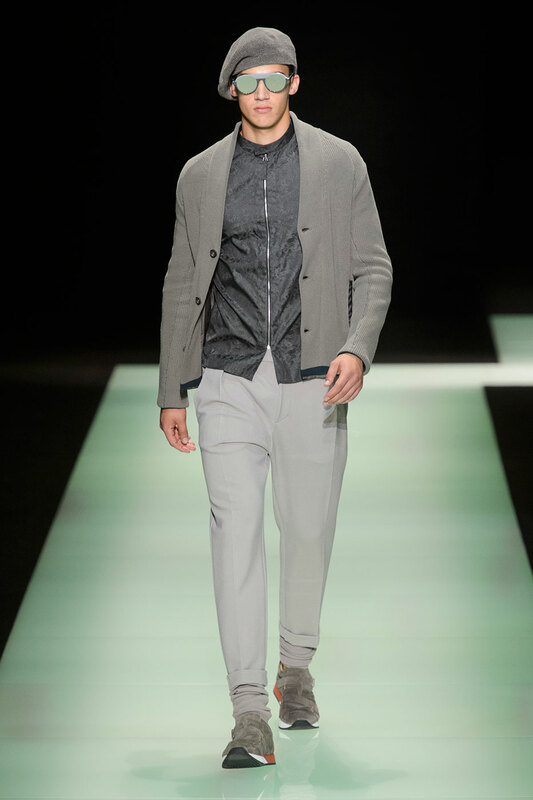 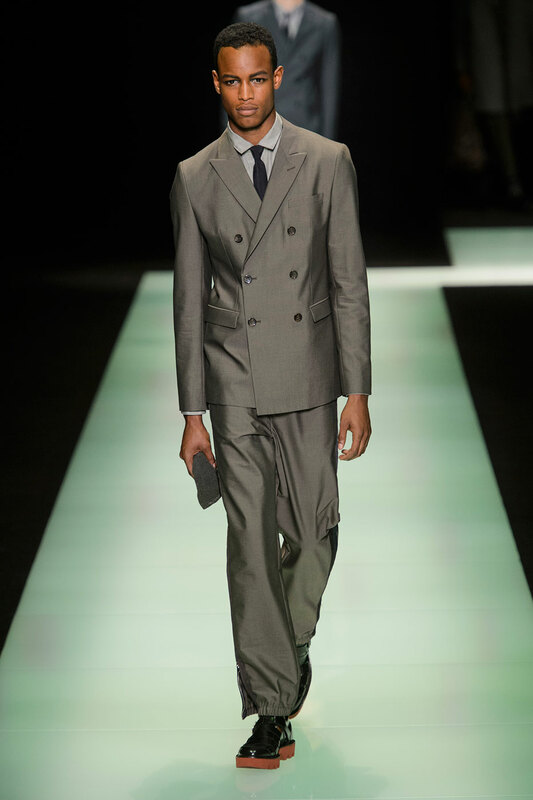 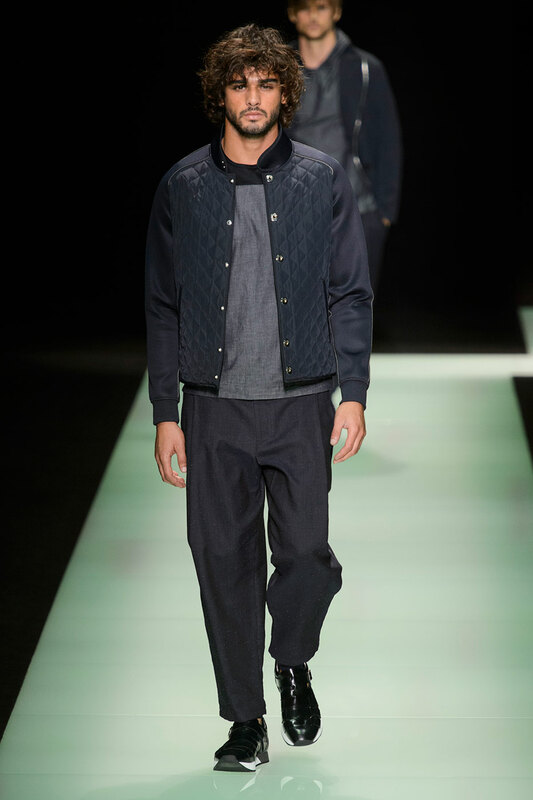 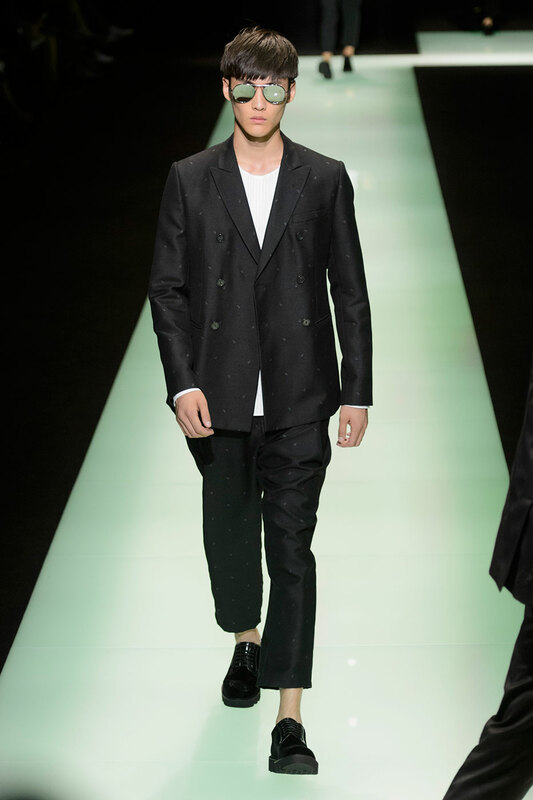 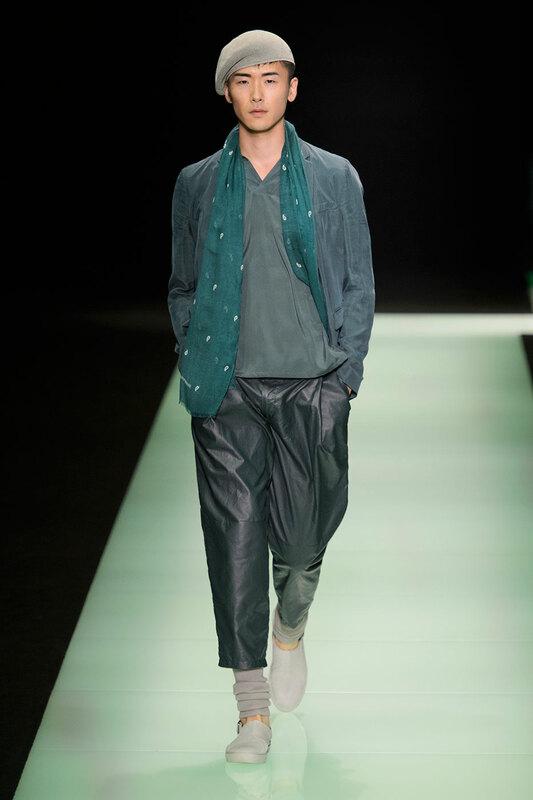 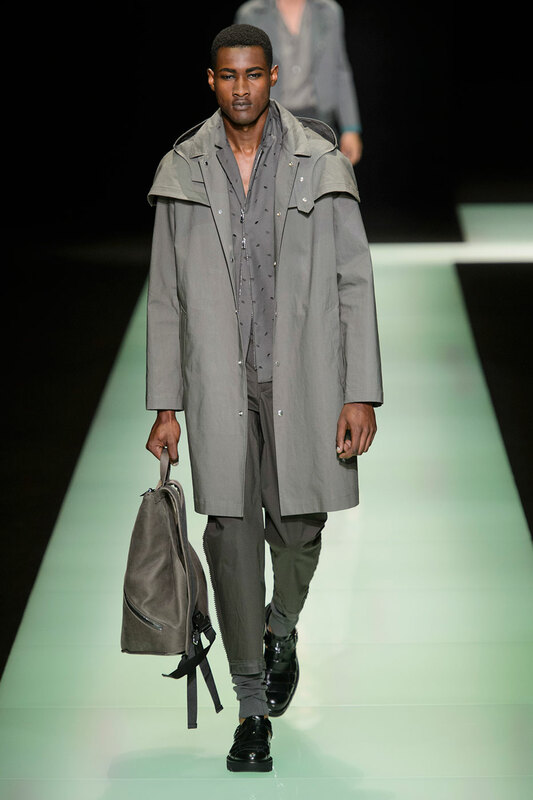 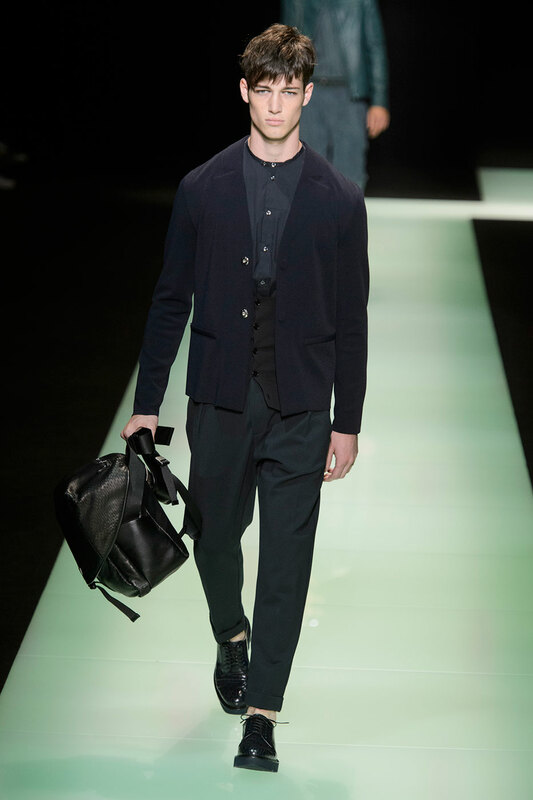 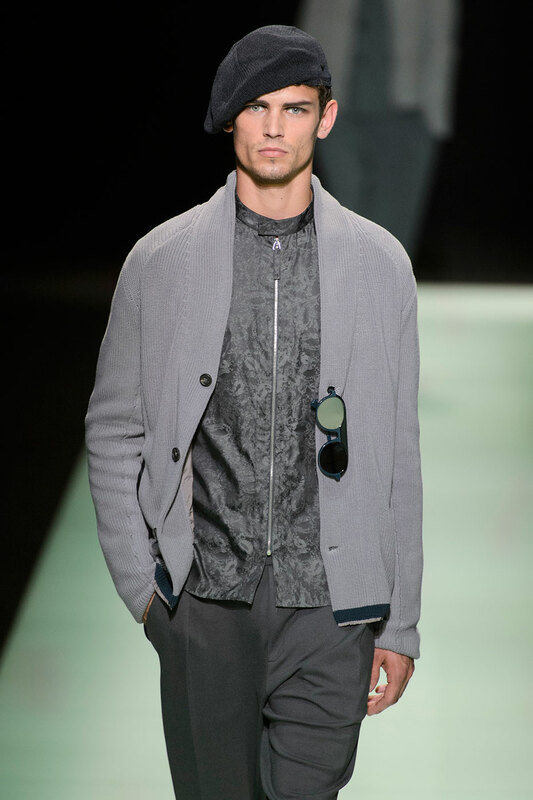 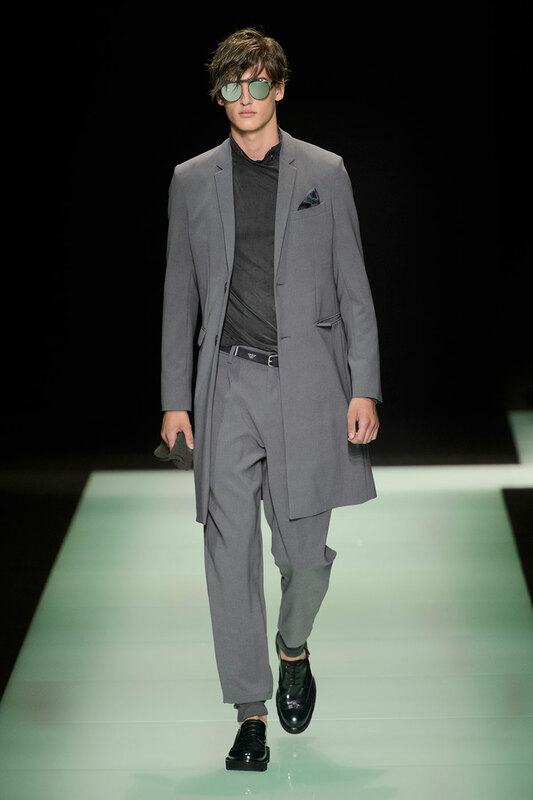 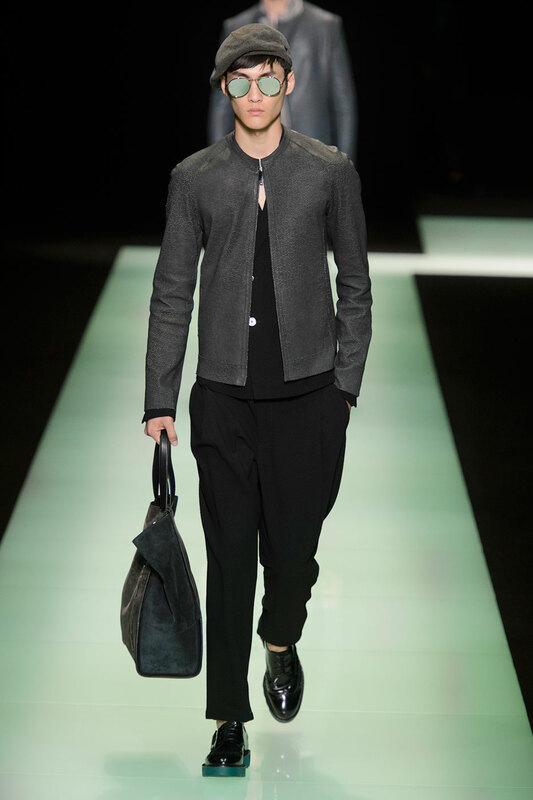 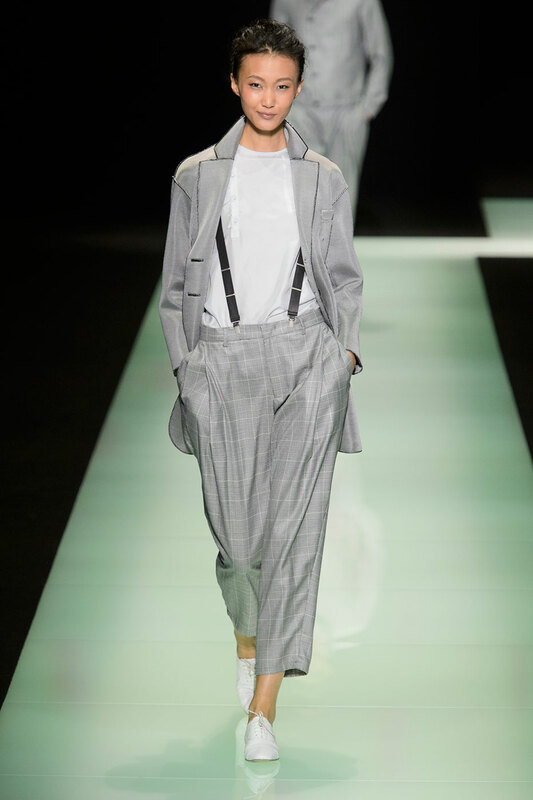 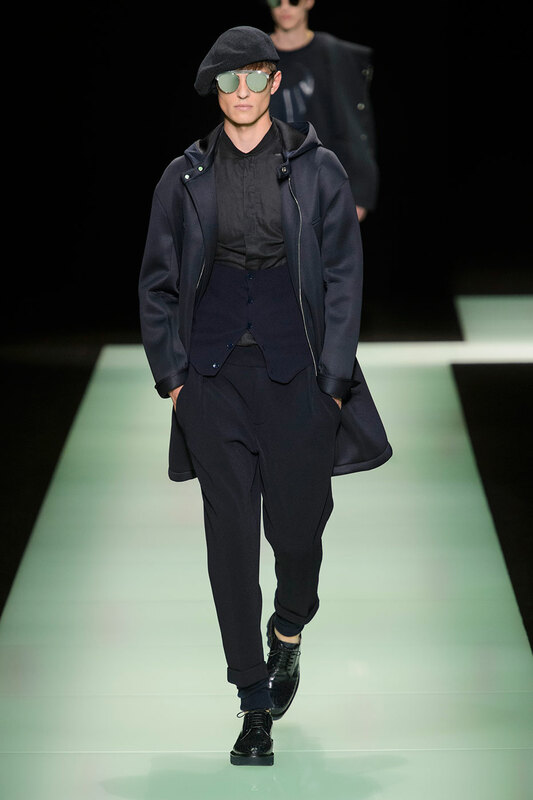 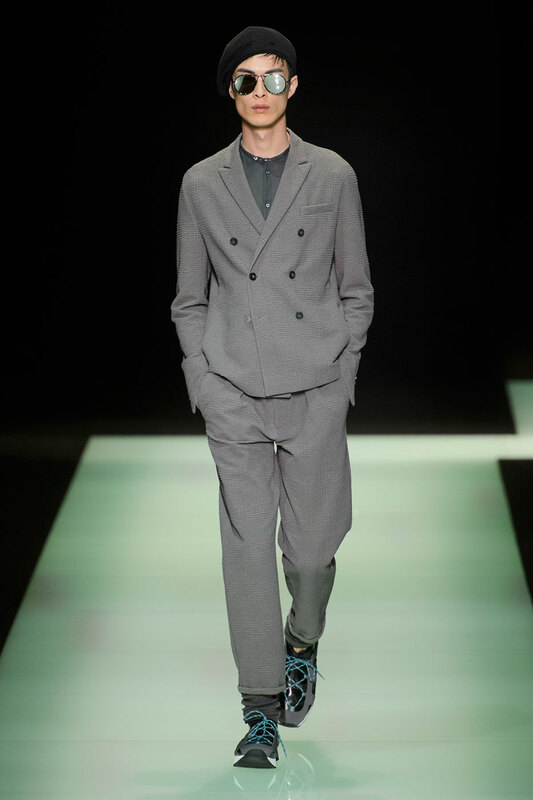 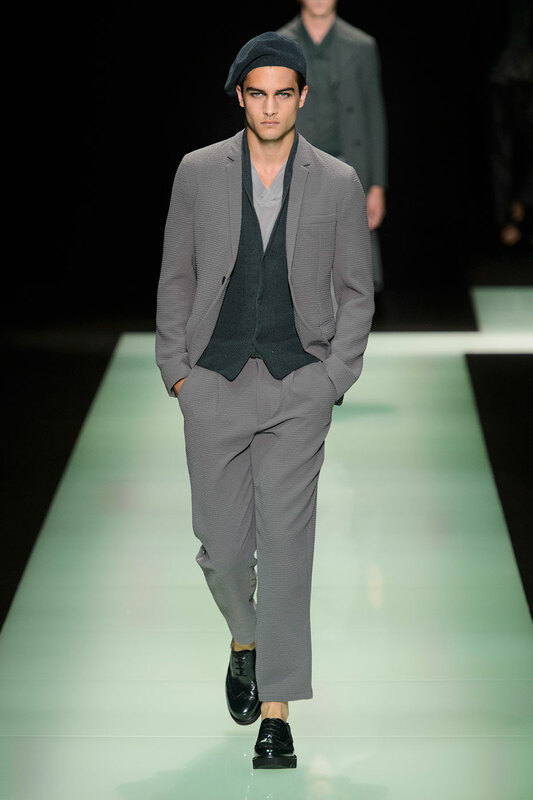 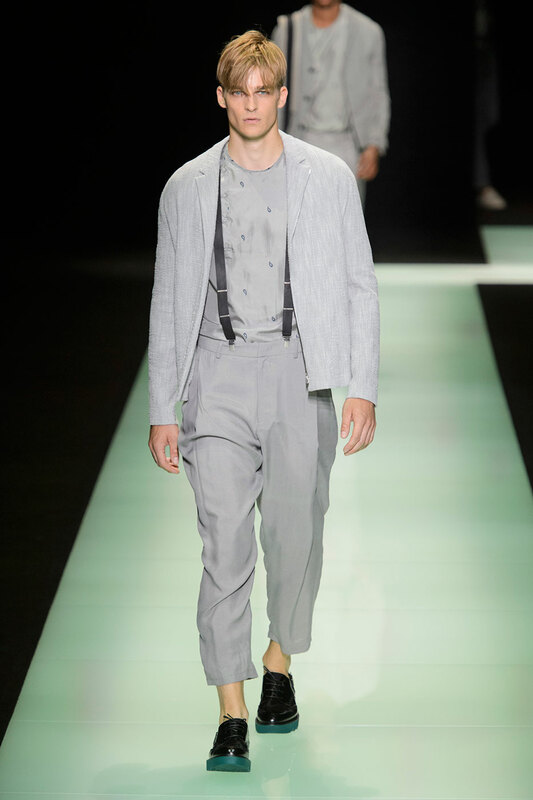 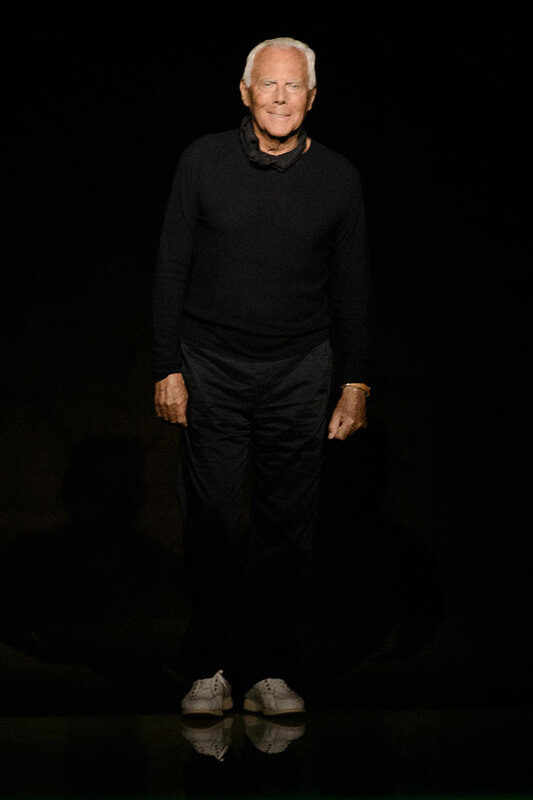 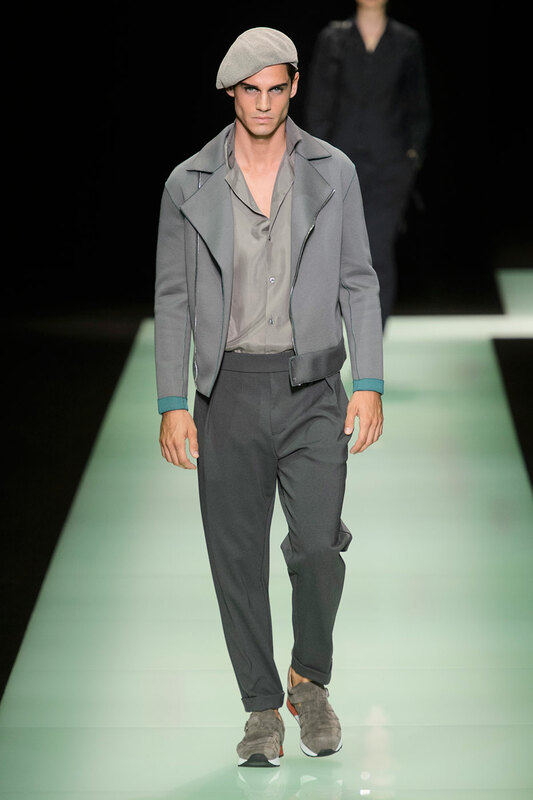 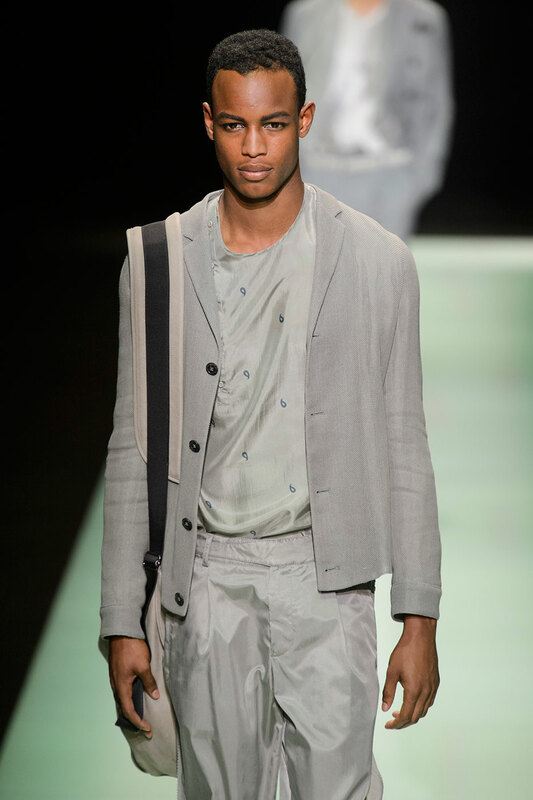 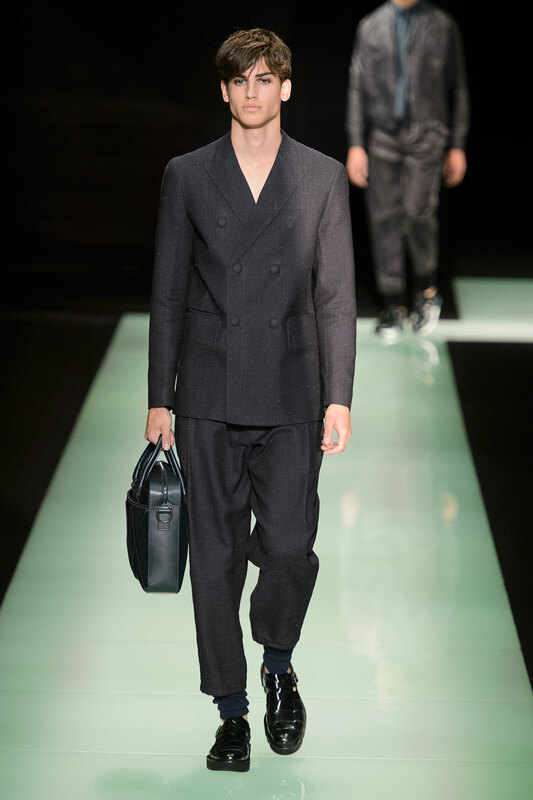 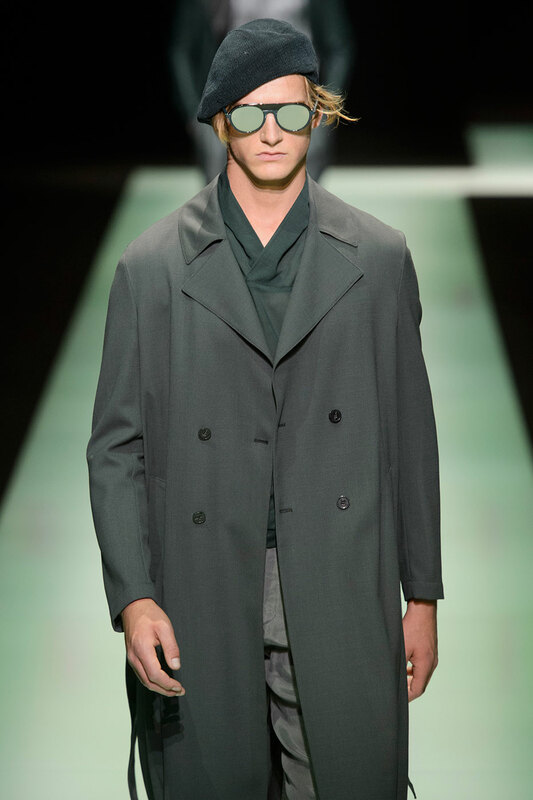 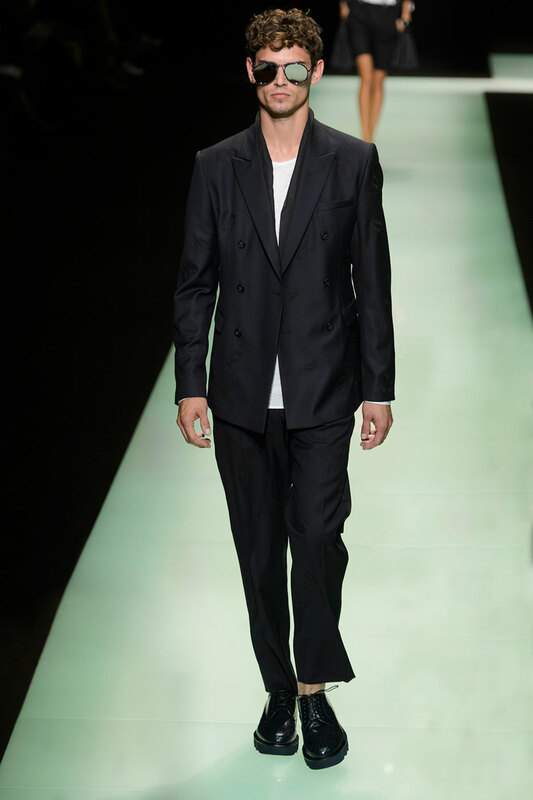 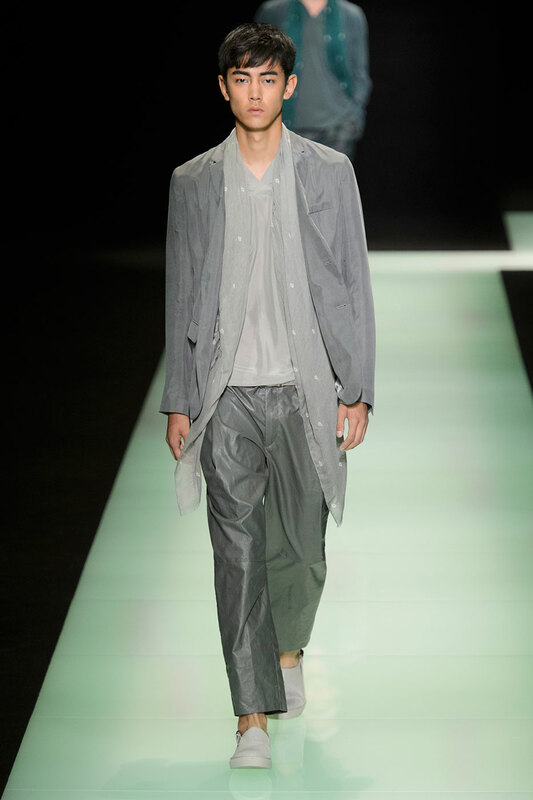 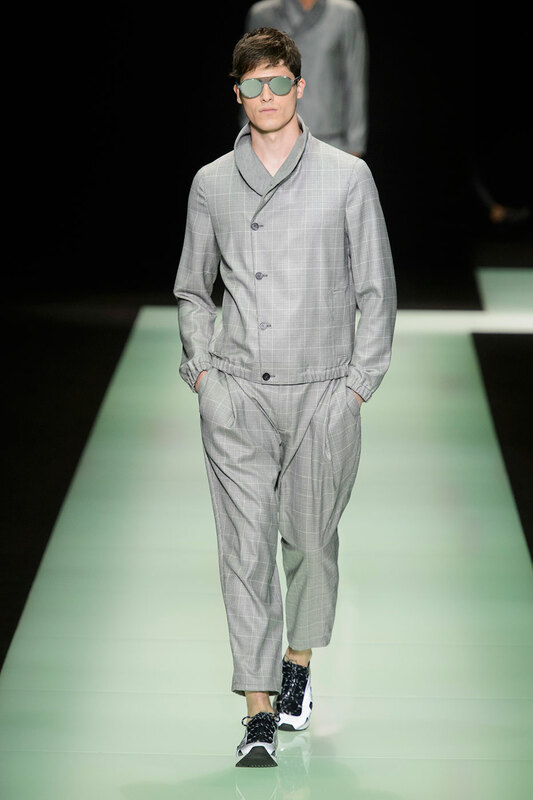 Inspired by an effortless French aesthetic, the Italian menswear giant dominates the minimalist catwalk. 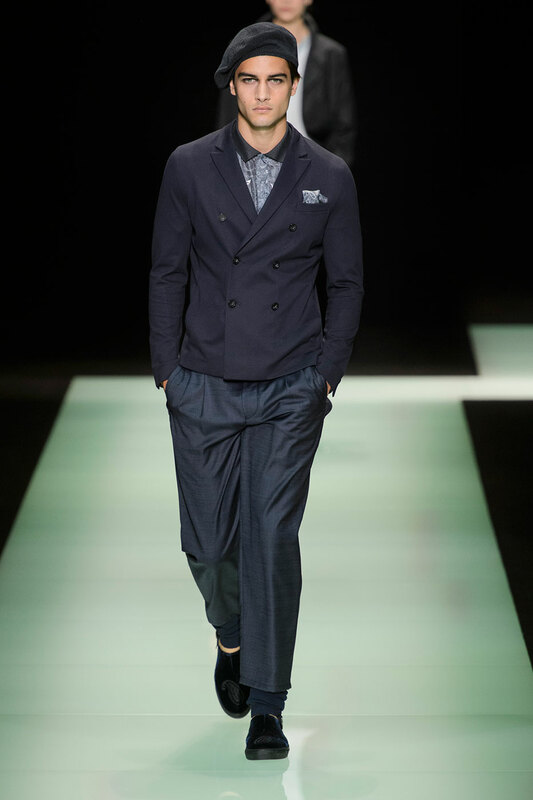 Teal and navy blue symbolizes a departure from the usual neutral colour palate , with deeper shades of dove grey, indigo and grey accentuating the formal simplicity of each outfit. 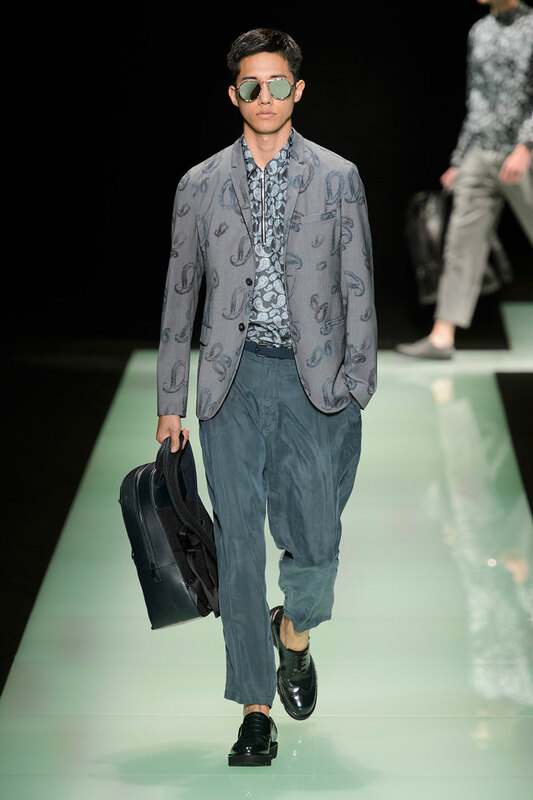 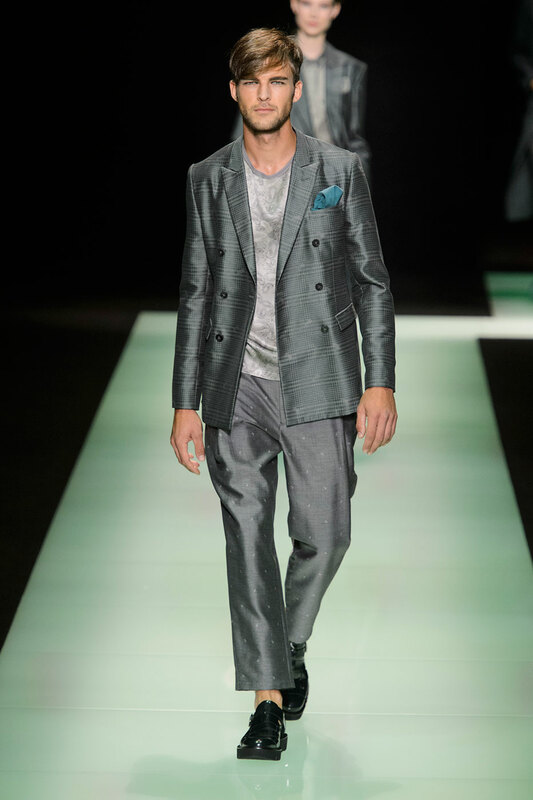 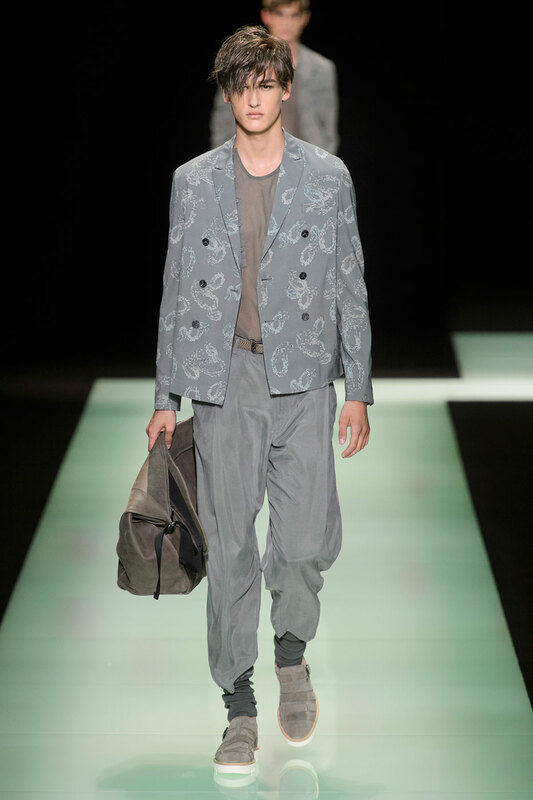 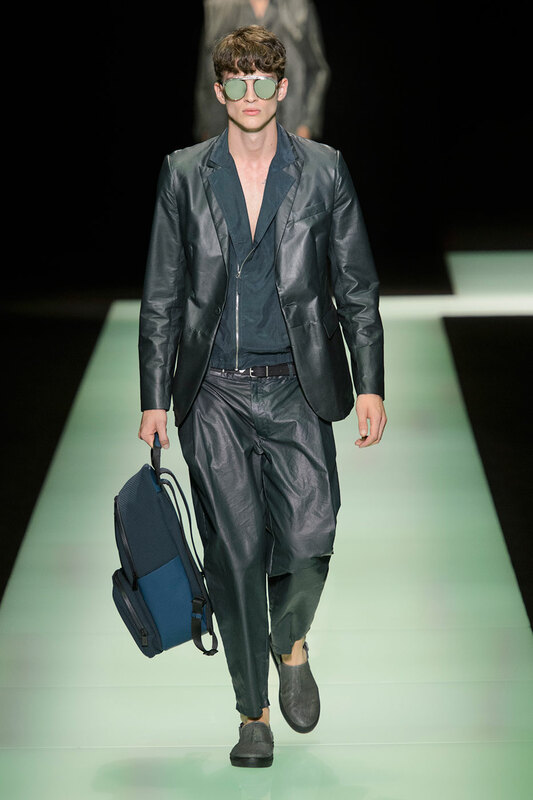 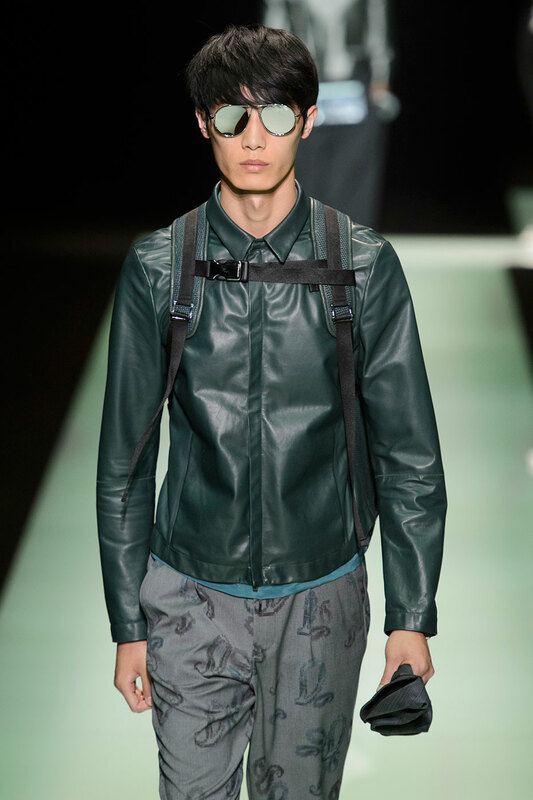 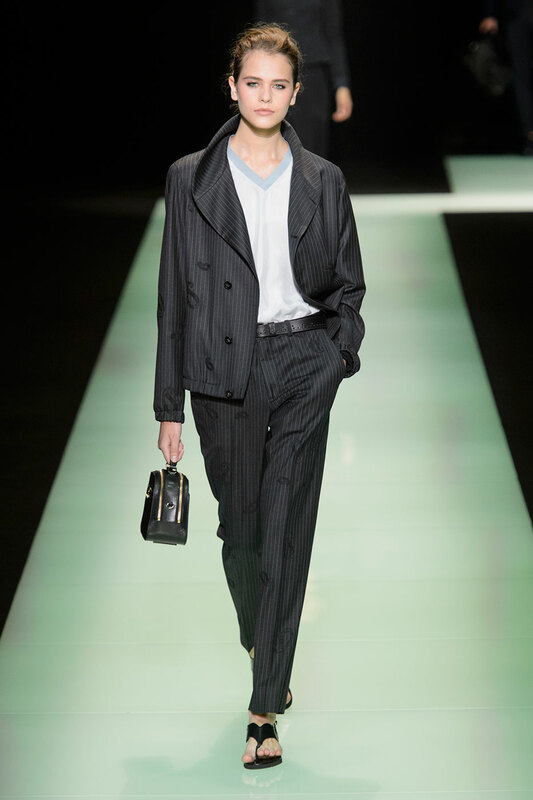 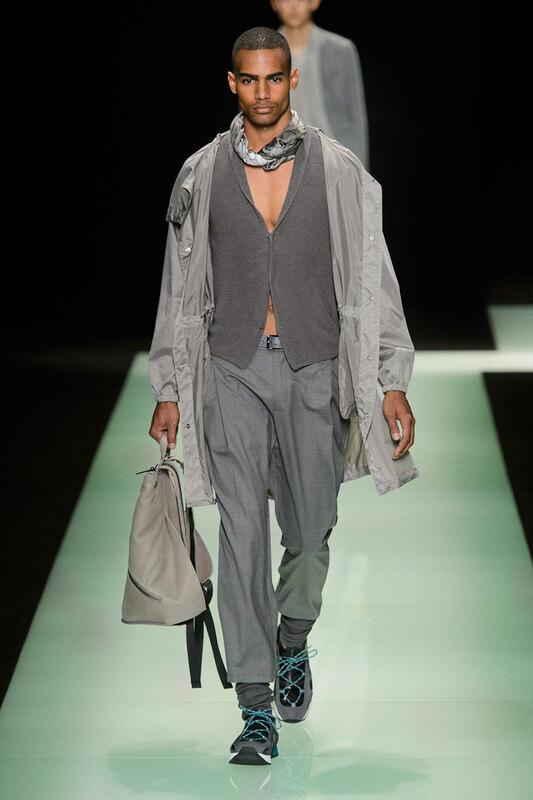 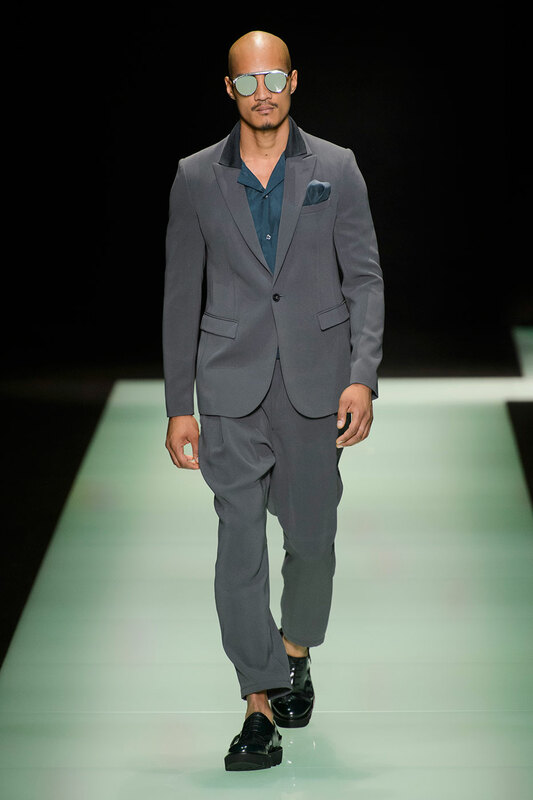 Each model has a unique accessory that is an extension of their own personal identity: for the casual man a printed two tone necktie adds a rustic vibe, for the formal man a stagnant suit is made unique through neon laced trainers and two tone aviators and for the experimental Italian berets are combined with leather teal bags. 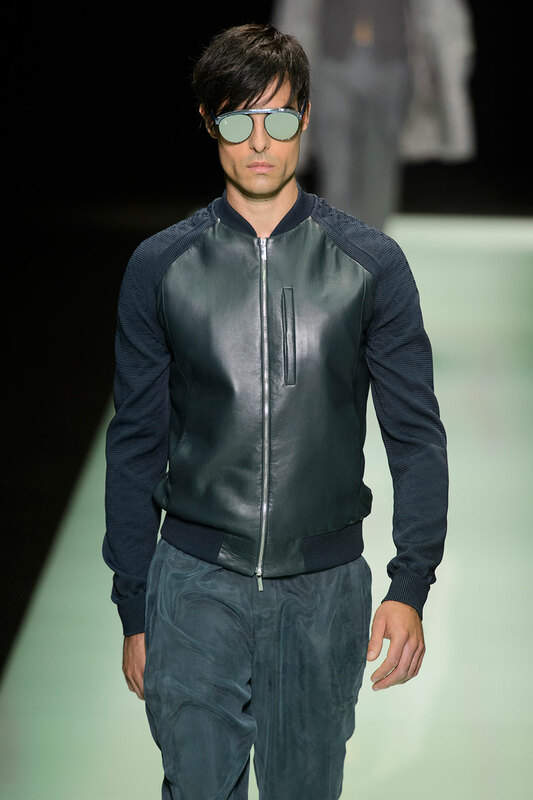 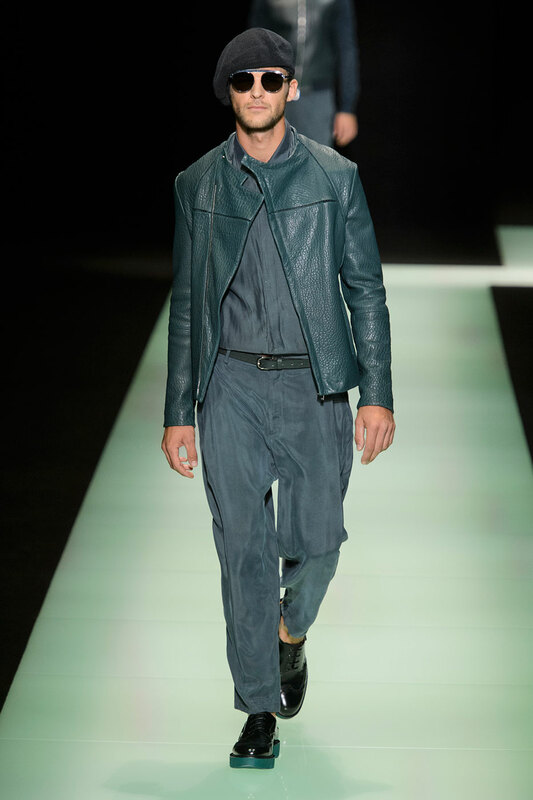 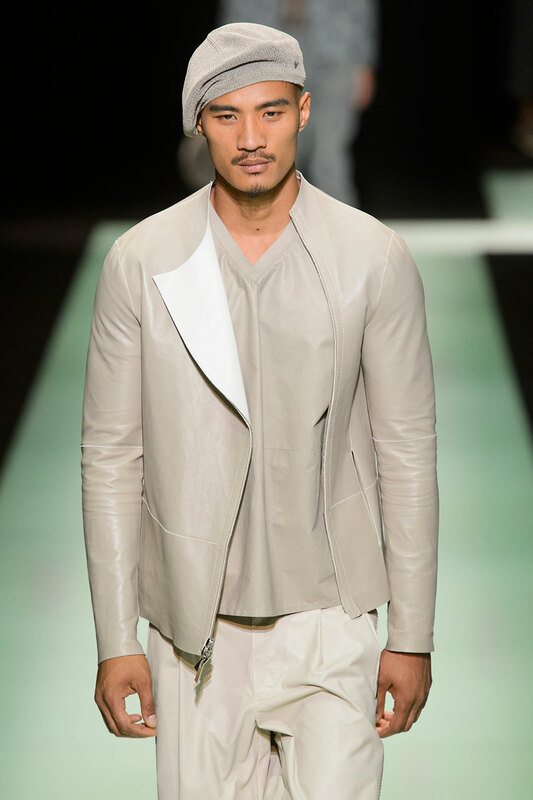 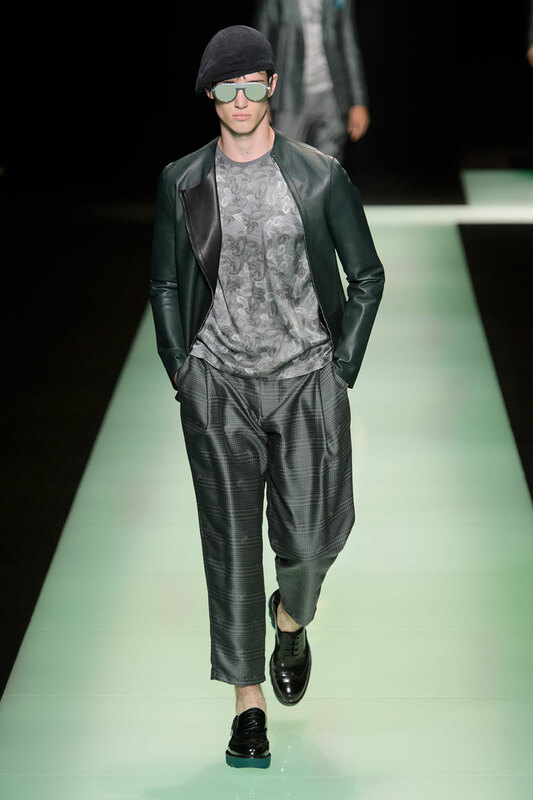 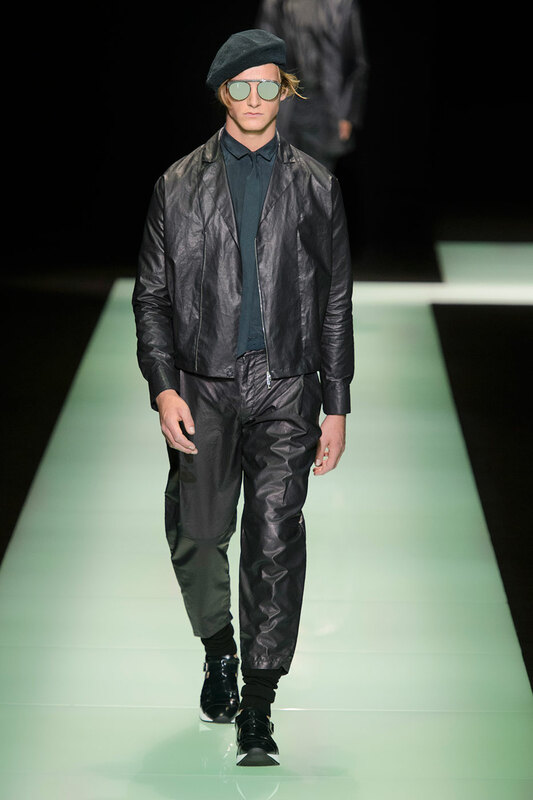 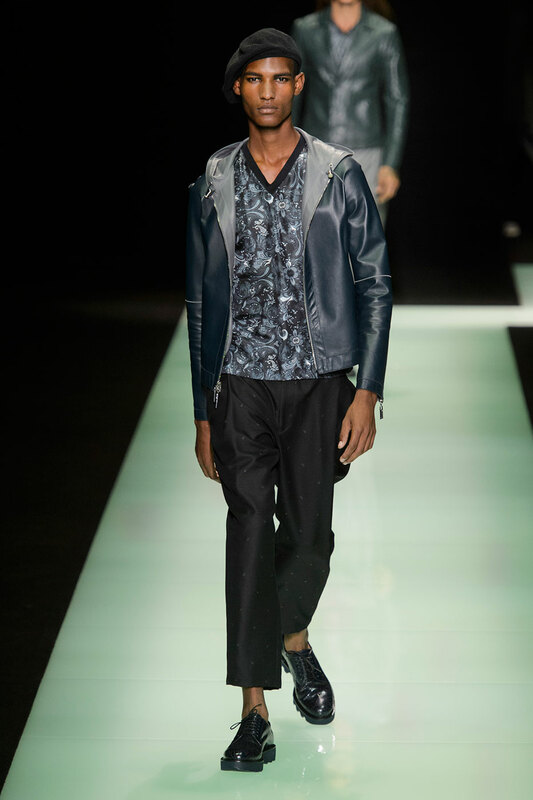 The winning fabric combination is leather and suede , that continues to dominate 2015 and is synonymous with the iconic image of a Italian gentleman . 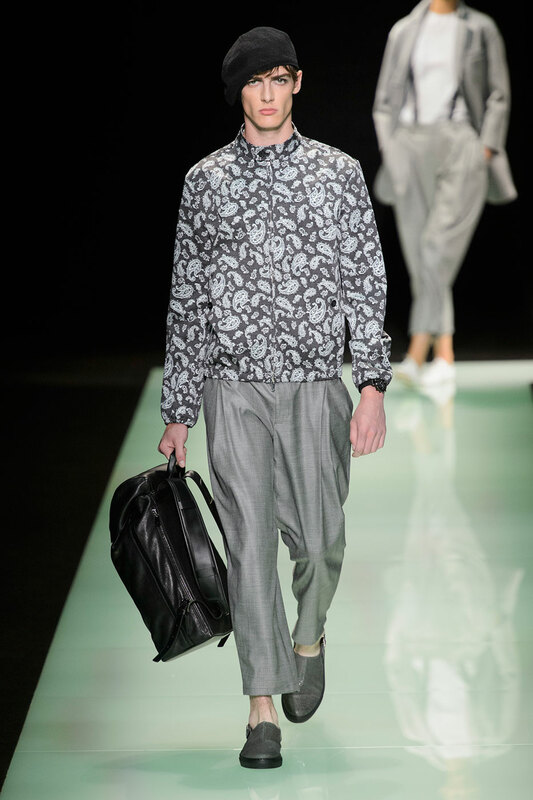 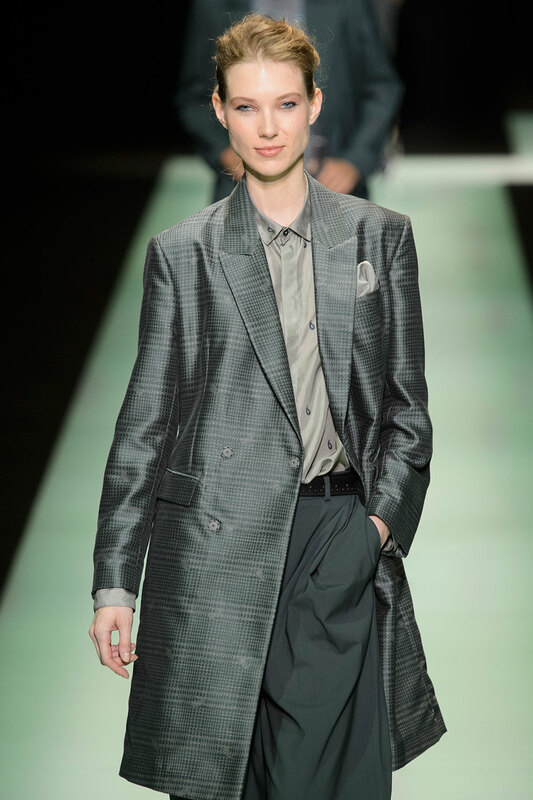 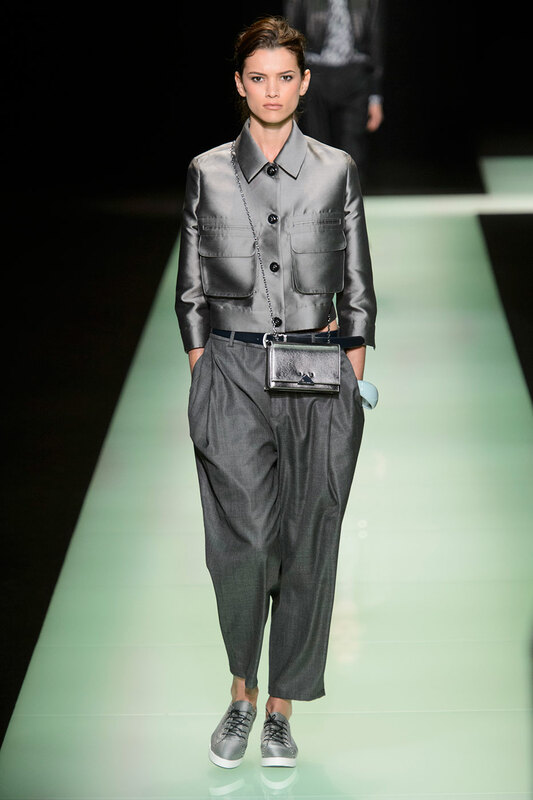 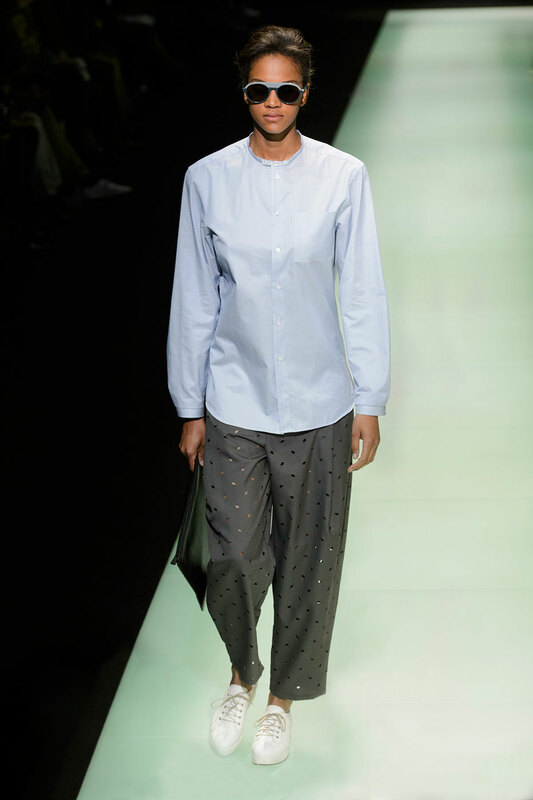 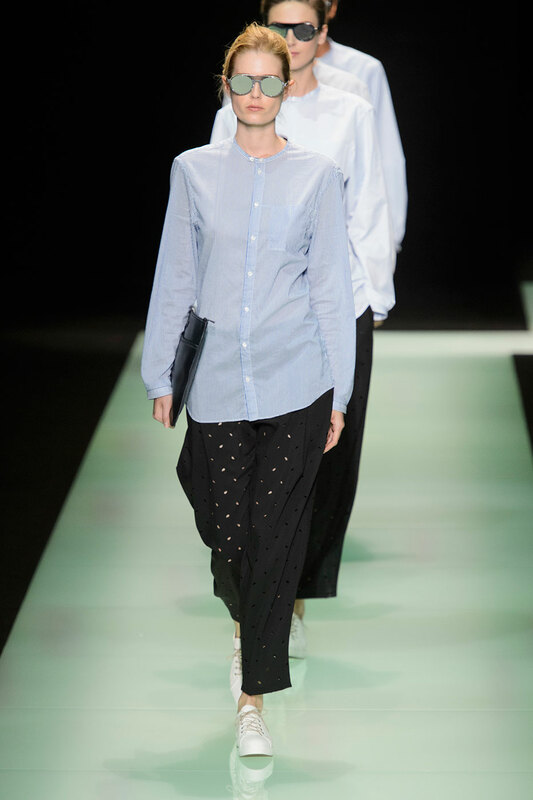 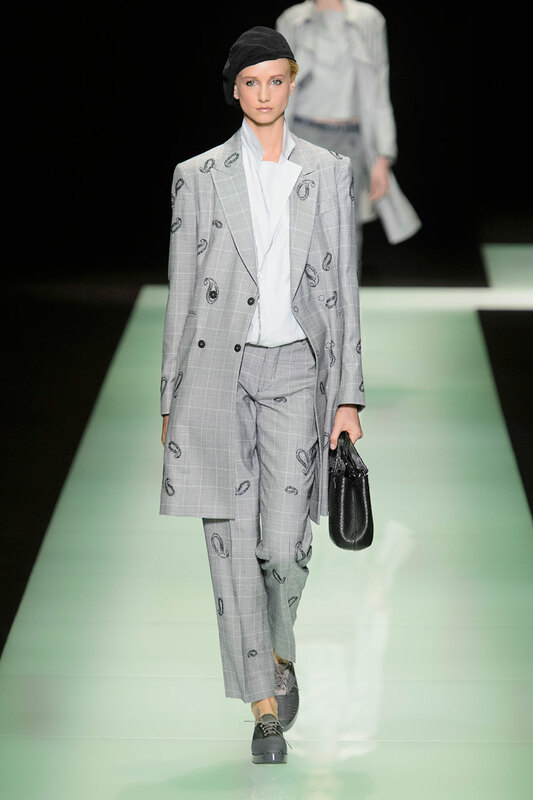 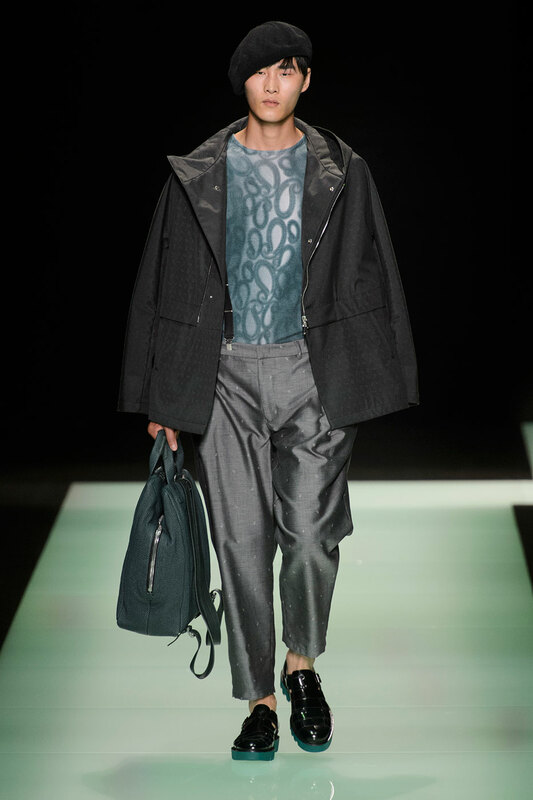 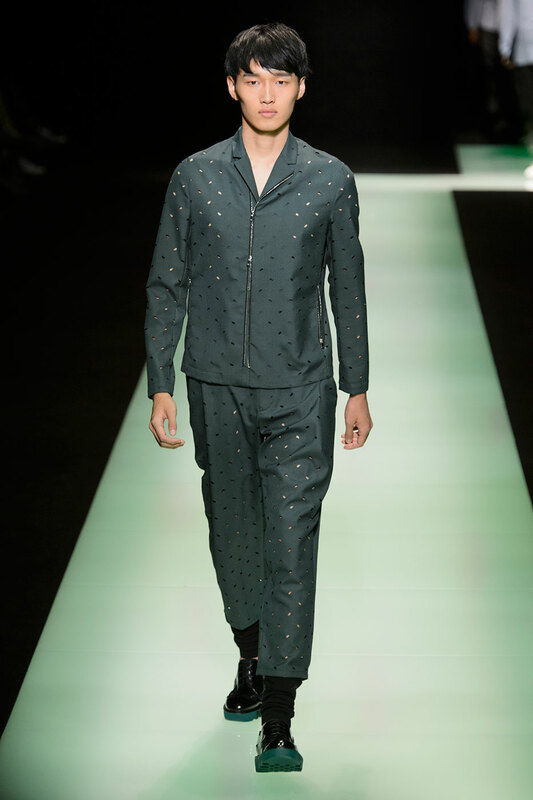 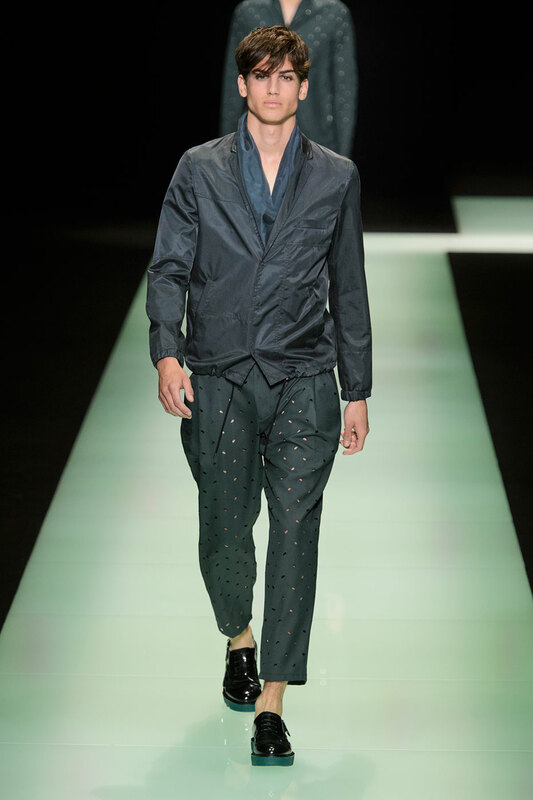 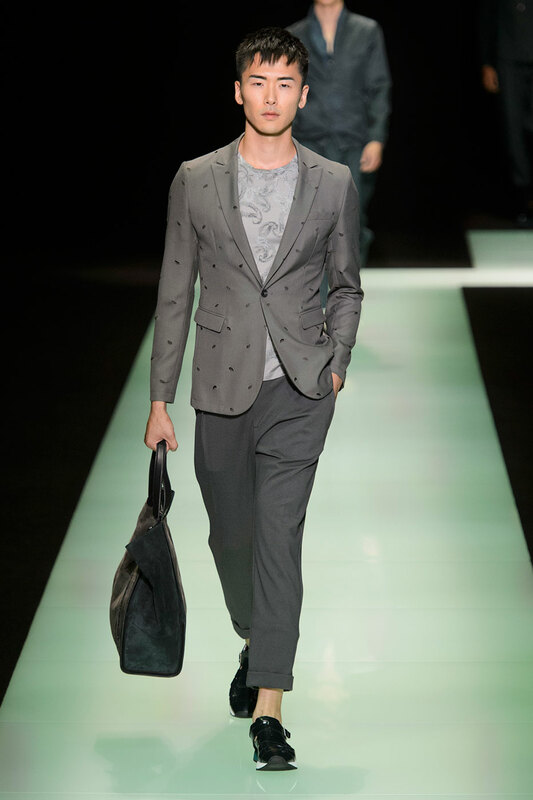 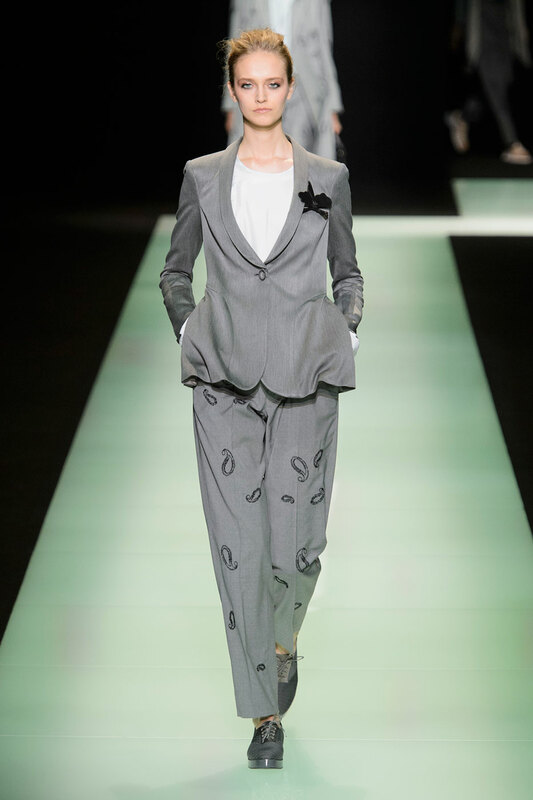 Fabric clashes are a unique asset of Emporio Armani’s latest collection and encapsulates 2015’s progression away from homogeneity.